As of April 10, Apple will begin scheduling appointments in its retail stores for customers who are interested in trying on the Apple Watch before deciding to pre-order or make a purchase. We've known that most try-on appointments will be scheduled in 15-minute intervals to allow Apple employees to get to as many customers as possible, but it seems that customers who are interested in purchasing the Gold Apple Watch Edition will get some extra time with the device. According to the International Business Times, two Apple Stores in Manhattan have confirmed that customers looking to spend upwards of $10,000 on an Apple Watch Edition will get 30 minute appointments with Apple employees instead of 15 minute appointments. Given the high price of the Apple Watch Edition, it's no surprise that employees plan to dedicate more time to those who plan to spend a lot of money, as it's a bigger purchasing decision. In fact, the purchasing experience for a Gold Apple Watch may be quite a bit different from the experience purchasing a standard Apple Watch or an Apple Watch Sport, as Apple is said to have a dedicated group of employees that have undergone special training serving customers who are buying the Apple Watch Edition. Apple employees, including those who will work with customers interested in the Gold Apple Watch, are being trained to offer fashion and styling advice to customers. 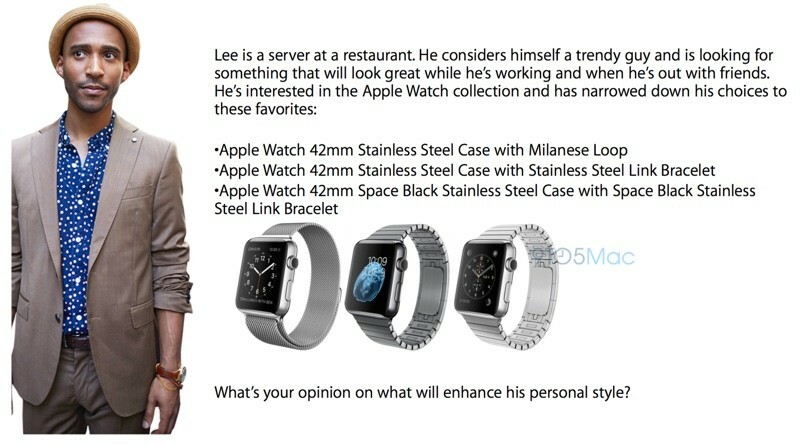 9to5Mac shared some details on this training yesterday, suggesting employees will use each customer's fashion sense to make Apple Watch recommendations. Apple employees are being given example customers to train with, to help them develop the skills to make suggestions to customers. Apple retail stores will be transformed overnight ahead of April 10, adding Apple Watch try-on stations that consist of glass-covered display tables that have the Apple Watch underneath. 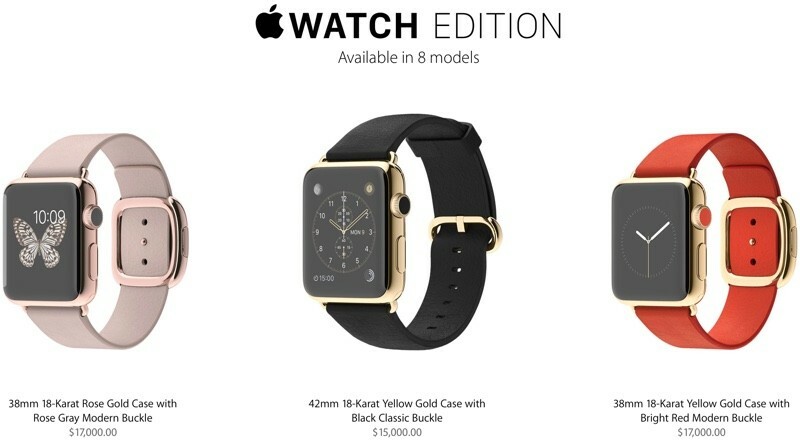 The Apple Watch Edition will only be available at select Apple Stores, and in limited quantities. Stores where the high-end watch will be sold are being outfitted with safes, where the devices will be kept at night to protect them from theft. Apple wants the Apple Watch Edition buying experience to mirror other luxury shopping experiences, and in addition to selling the device in Apple retail locations through specially trained employees, Apple is also assembling pop up shops around the world in locations like the Wonder Room in Selfridges, a special section of the store that houses other high-end jewelry and watches. Other pop up shop locations include the Galeries Lafayette in Paris, and the Isetan Department Store in Tokyo. Apple Watch pre-orders and try-on appointments begin on April 10, with the official launch coming later in the month, on April 24. Sure thing, Apple. Sure. Thing. Everything I want to type as a response to this nonsense is against Macrumors policy. Apple wants its store employees to give out fashion advice? Sounds like a really bad idea. That makes it all worth it then. We give you 30 minutes and then you have to tell us if you are going to give us $17,000! I think Tiffany would give you more than 30 minutes. "You can be just like us, we're all individuals too. Let's all be unique together!" Wow. Just because someone is a server at a restaurant doesn't mean he or she is broke. Go for the Milanese Loop, Lee. Now hurry up with my food! If I bring teh shark will they jump it in the store while i watch? The tiered segregation of customers by wealth is a form of apartheid. Shame on Apple.